Isn’t that how it goes, wifeys? What I’m getting to is as a historical fiction author, I take a lot of research trips to see the places in my stories as they would have been then. I’m currently working on a story that takes place in 1883 and 1926 New York City, so I’ve made several trips there with my new camera documenting items I might need for my manuscript. Here are some of my favorite findings. Let’s start at the Morgan Library and Museum. 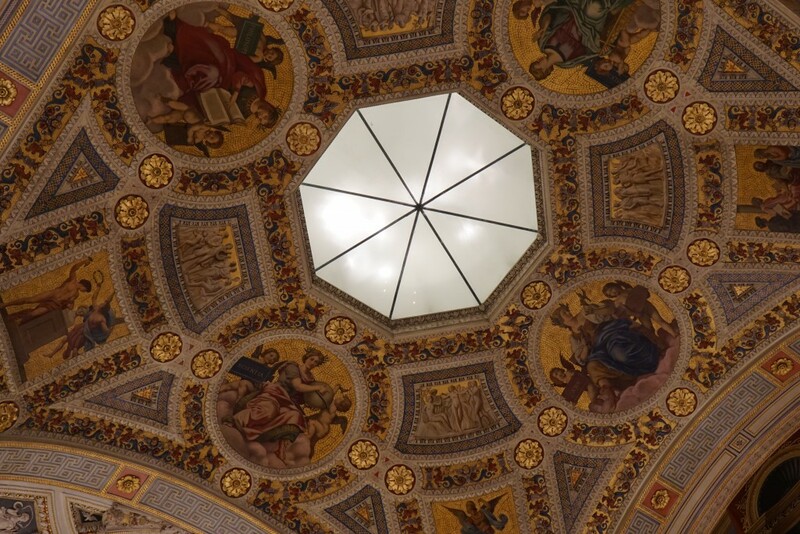 And we’re going to start at the top with the intricate murals, inlays, and detail work of the various rotundas found in the original Morgan Library. You might look at these photos and think, holy crap, Morgan had a lot of money to blow on these ceilings, and really, who is spending that much time looking up to appreciate them? There was a very real significance to such lavishness in Gilded Age design. The new American aristocracy was trying to prove to the European aristocracy that they were worthy of being aristocracy. And the way to do that was to display their wealth through ostentatious architectural endeavors such as these ceilings. Not only are these ceilings grand in design and literal wealth (that is likely real gold in there some where), the old masters represented in these ceilings show the European aristocracy that the new wealth of the New World knew what they were doing. They knew who it was that they should have on their library ceilings even if they didn’t know the work of those persons. Jay Gould, a famous member of the Gilded Age high society, was a great example, shirking the new aristocracy even as he demonstrated that he knew exactly what should be done to achieve their ranks. The interesting thing about all of this is the element of choice. In Europe, aristocracy was largely determined by luck of one’s birth. In America, folks had the choice of trying to achieve such ranks. Quite an unheard of notion during the late 19th century. This is a fantastic book that takes a look at why Gilded Age aristocracy made the choices they did in architecture. 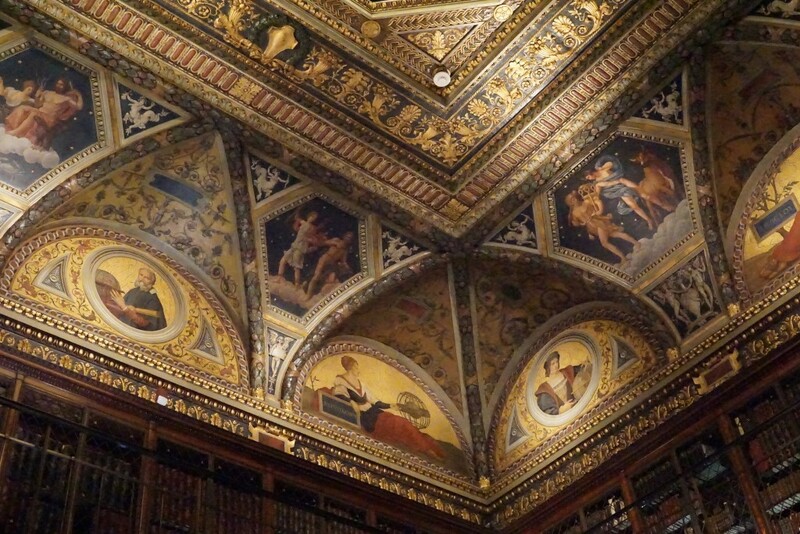 The Morgan Library is certainly a prime example of the Gilded Age, and rivals any of the gilded ceilings we saw in the estates of England.